Hello Friends! Happy Sunday-Funday! Happy to be popping in with my latest CAS Challenge card! I'm so pleased with this one, even though I think it's bordering a little on the not so clean and simple lines...What do you think? It's a big challenge for me, so this is definitely still CAS compared to my other cards. CAS kicked up a notch? Is that even a thing? 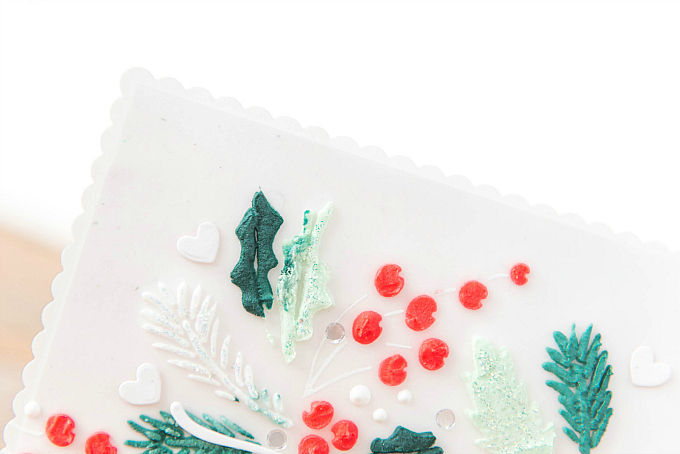 But what I love the most, is that even with a little texture, it's still a very mail-able card. 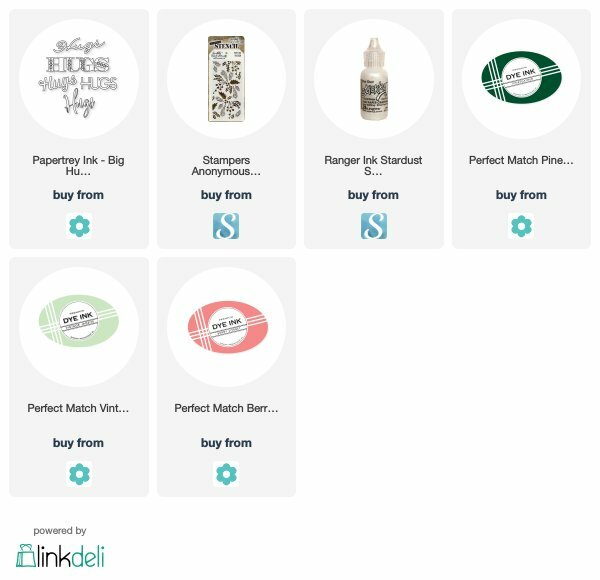 And have you seen the ultra thin pop-up adhesives?? They would make this card even thinner. I can't remember the manufacturer, but if you know what I'm talking about, please share it in the comments! 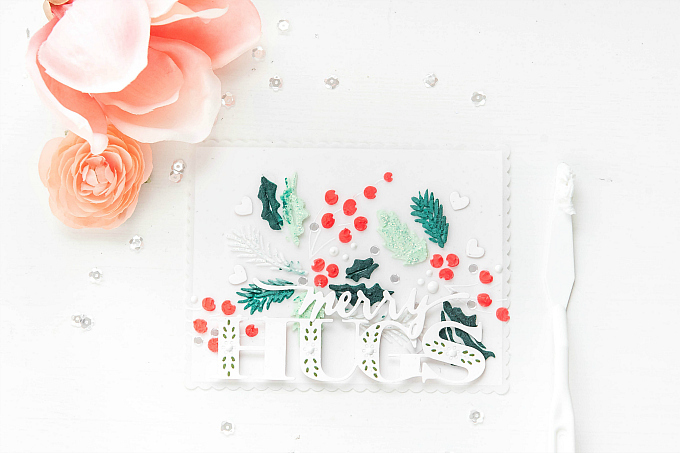 To start today's card, I used a cardstock base, but quickly decided I wanted a more ethereal look to this card, and die-cut an ever-so-slightly larger scalloped base out of vellum to lay over-top. 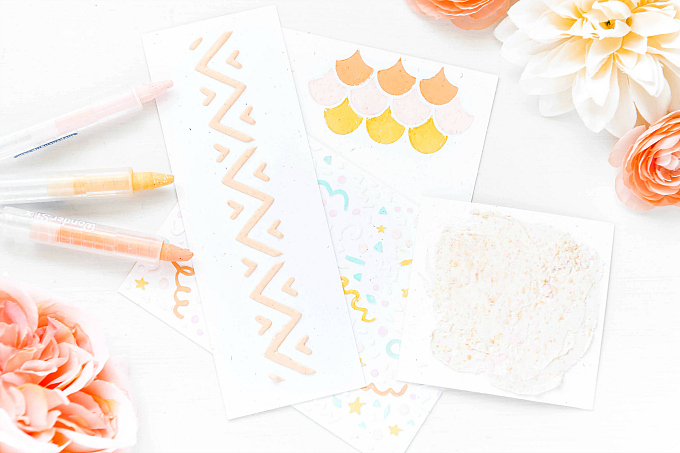 The technique I've used today, is a quick and easy way to make your stencils really work some mileage for you! 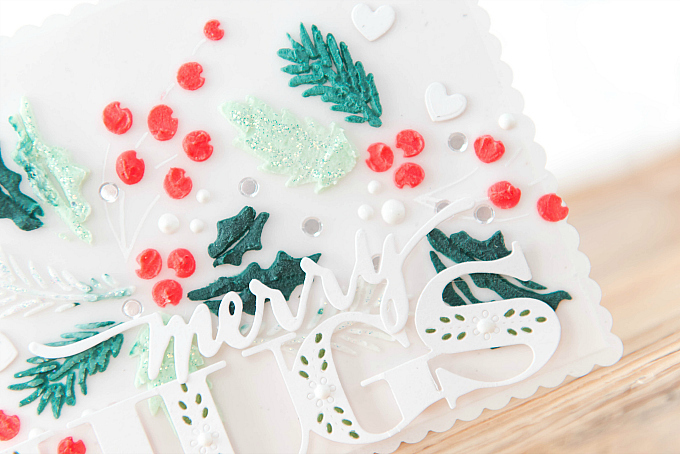 Using stencils with molding paste is fun, but adding color to that molding paste, it makes the designs shine even more! 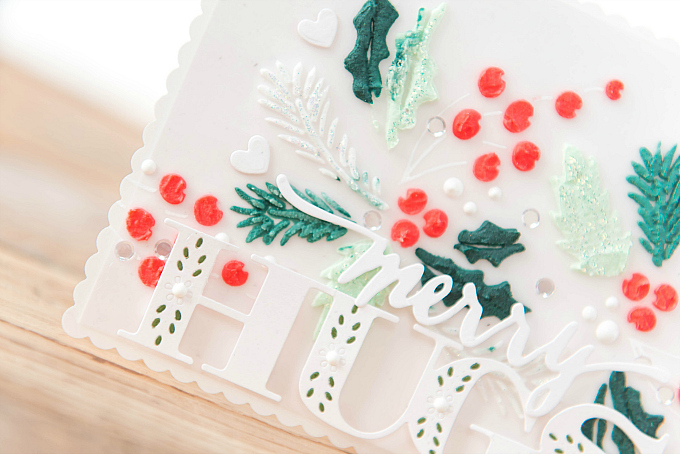 Here I used Tim Holtz Festive stencil. I then added droplets of Berry Sorbet, Vintage Jadeite, and Pinefeather to my mounds of molding paste. I also left some plain white. Using my palette knife, I added different colors of paste around the stencil, until I liked how it looked. It's a tad messy and imperfect, but (imho) the end result is worth it! 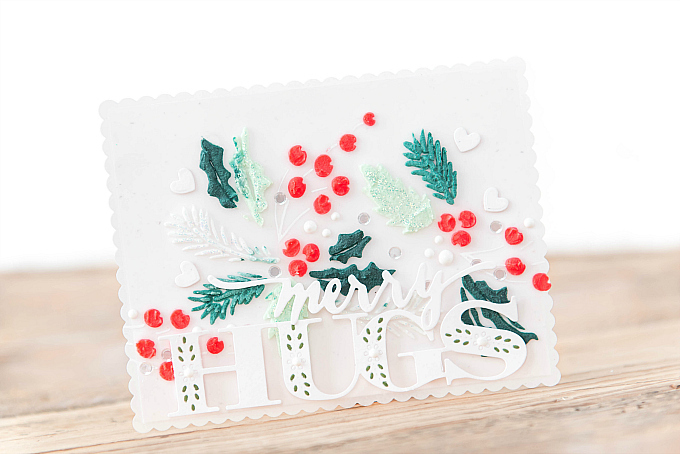 To finish off this super simple card, I used PTI's Big Hugs die and Wplus9's Hand Lettered Holiday die to add some white cardstock sentiments, and I used a green marker to accent all the sweet details. Lastly, I added some flat sequins, white pen lines for the branches, and tiny cardstock hearts. I also added some Stickles glitter to the leaves. Give this CAS look a try! It's super easy - I promise. Then share your take! Thank you so much for visiting Friends! This is so pretty!! I LOVE the dimension of the background pieces and the colors with the white just POP!! Love the idea for your hashtag. So cool. I think CAS is kind of hard myself, though I do not layer as much as you do-nor can I imitate your style without looking like I threw up on my card!! I LOVE your style and your cards just AMAZE me! !